Neha Dhupia and Angad Bedi are one of the cutest couples in Bollywood. The two were snapped at the Mumbai airport on June 05, 2018. Angad was seen dropping Neha at the airport as she left for Guwahati. The actor and model looked dapper in a black outfit and completed his look with spectacles. Neha looked pretty in a asymmetrical outfit with a black jacket. The actress was all smiles as she made her way at the airport. Angad and Neha trended on the internet on May 10, 2018 when they announced about their wedding on the social network. Since then the couple has been snapped more often together on their outings. Angad in a recent interview with a leading daily was asked if his marriage with Neha was a sudden decision, he said that it wasn’t as they knew each other since 15 years and added that with time everything fell in to place. 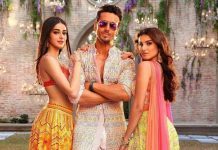 The actor added that their intentions were to seek permission from their parents in Delhi and they had no idea that their parents would agree for it.